Check out our featured artists and their masterpieces. Each artist listed has had canvas art stretched by Imaging Expressions and are valued clients. For more information, or to purchase art prints, click the link below each artist. 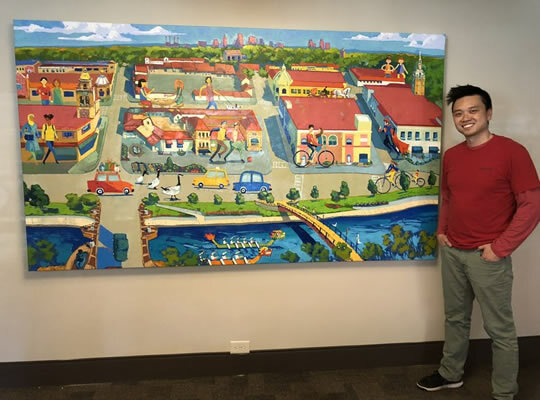 Imaging Expressions stretched and installed this colorful mural by artist Allan Chow in the lobby of Wornall Plaza in Kansas City. Imaging Expressions attended the unveiling of "Royal Gold" by artist William Rose at Leopold Gallery + Art Consulting in Brookside, Kansas City. 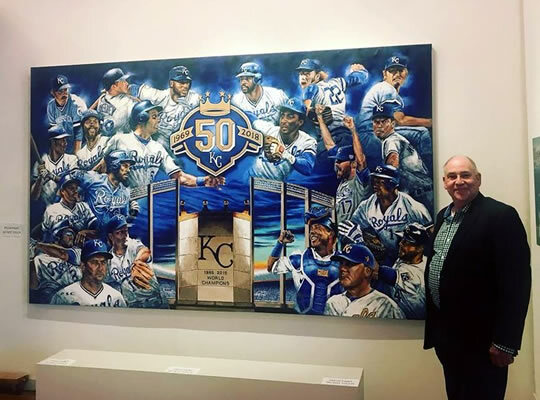 This magnificent 50th anniversary painting will be headed to the Royals Kauffman Stadium! 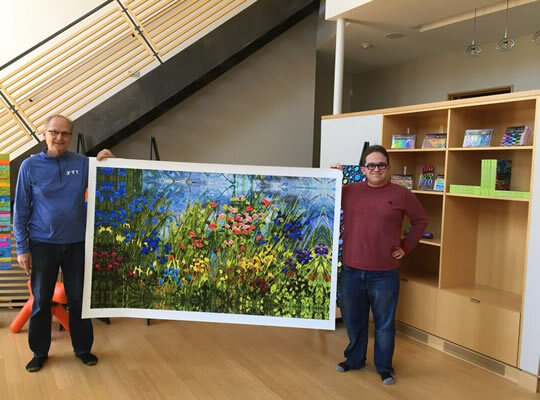 "Trail Through the Cotswolds" (62" x 34") as a high resolution signed canvas print by Jeff Hanson Art. On its way to be framed at Imaging Expressions and then shipped via UPS to his client in Greenville, South Carolina.